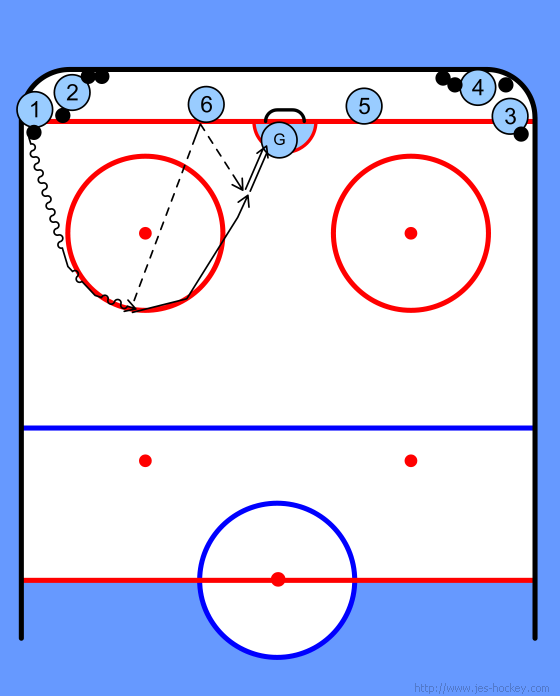 This is a tempo drill that works on the give and go and one-timers. Player skates out around the top of the circle. Passes the puck to the player on the goal line. Then goes to the net for a return pass and a one-timer. 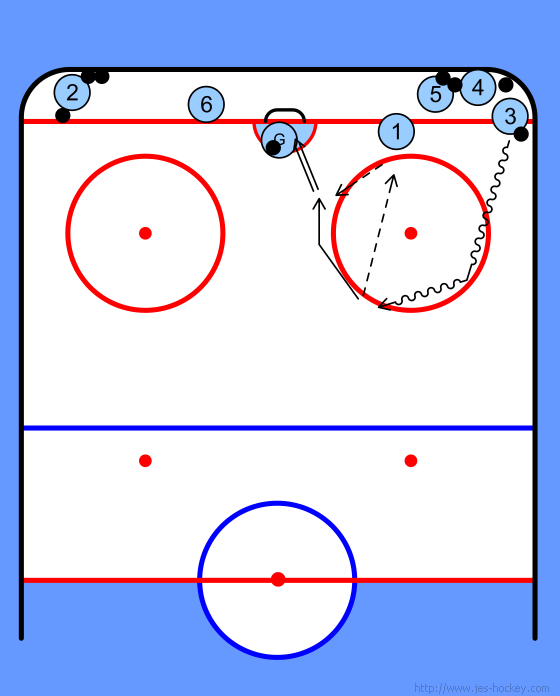 Player then assumes position on the goal line to the other side. Note: Coaches must keep reminding players to assume the pass-relay position. Alternately, for younger kids, coaches can be the pass relayer so that passes will (hopefully) be more accurate.